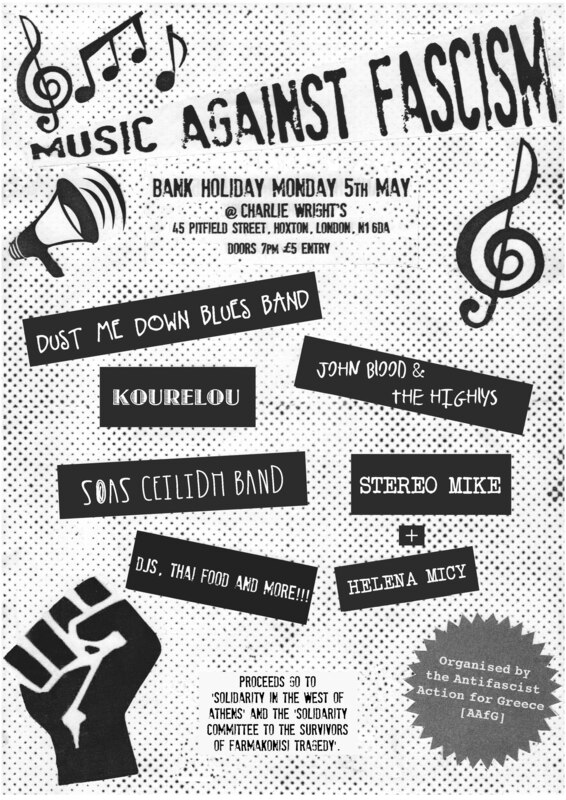 Antifascist Action for Greece is pleased to invite you to a music fundraising event taking place as a response to the worrying rise of fascism in the whole of Europe. A wonderful night not to be missed! Proceeds will go to “Solidarity in the West of Athens” campaign, and to ‘Solidarity Committee to the Survivors of Farmakonisi Tragedy’. P.S. for the foodies: Charlie Wright’s serves Thai food until 10,30 pm!